Shifting the focus from awareness to influence around a consumer’s intentions lies at the heart of Destination NSW’s digital strategy. Speaking at the CeBit 2016 event in Sydney, Destination NSW’s director of digital strategy, Diana Kahui, discussed what it really takes to market via digital channels to attract a more global audience. 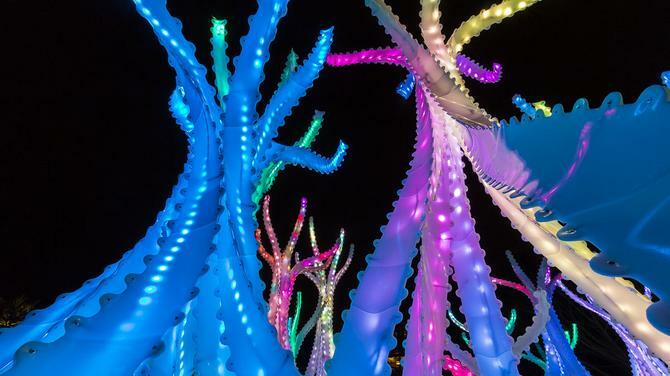 But with a conglomerate of brands to manage including Vivid Sydney, more than 125 events a year and 130 campaigns, this mission is no easy feat. According to Kahui, Destination NSW invests about 50-60 per cent of spend in digital across all of its campaigns. 3. Leverage social for mass reach and selective targeting. With regards to programmatic, the team decided to bring a demand-side platform (DSP) in-house in order to reap benefits such as reducing the cost of digital media, retaining ownership of all data and retargeting pools and building real-time reporting dashboards. On top of this, an in-house DSP allowed Destination NSW to target mobile and desktop devices via a single channel while enabling the team to build an attribution model specific to the organisation’s campaign frameworks, Kahui claimed. “There are a lot of environments out there for brands to take advantage of if they want to access volumes of inventory and benefit from programmatic,” she commented. “But what we’re seeing from brand strategy to DSPs, is that there is a lot more movement in non-agency organisations that actually want to take part in owning their own data. Destination NSW is also adopting a mobile-first approach and focus on apps. Kahui noted mobile users spend 85 per cent of their time on apps, with the average mobile owner using 15 apps a month. They may also visit up to 30 websites a month via their mobile device. Destination NSW has 14 websites and 8 apps, with the apps primarily serving as resurfacing content that a user could just as easily find on the websites. “We really had to ask ourselves some tough questions as to why we had these apps and were they serving the right purpose,” she said. One of the mobile-first campaigns Destination NSW is focusing on is the Sydney Vivid festival. A mobile-responsive site and app is being used to increase precinct promotion across Sydney to highlight where each event is being held. Kahui claimed the benefits for mobile includes having a single mobile focus encompassing both the domestic and international audience, as well as gaining access to specific mobile metrics and tracking. The organisation can also develop specific native apps on an as-needed basis. The third component is social. Kahui claimed Destination NSW has the highest level of engagement on Facebook with a 148,669 reach, followed by Twitter, Facebook and Google Plus. “On a global level, we find pictures of sunsets, landmark icons and animals do really well on social,” she said. “It seems like a really simple strategy, but we’ve tested it over time and seen these pieces of content have the highest level of engagement and shares. Social selling and conversational commerce: Social media platforms are increasingly offering ‘buy’ features and ‘shop now’ links.